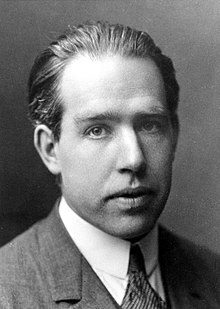 Niels Henrik David Bohr (7 October 1885 – 18 November 1962) was a Danish physicist. He received the Nobel Prize for Physics in 1922 for his contributions which were essential to modern understandings of atomic structure and quantum mechanics. What is it that we humans depend on? We depend on our words... Our task is to communicate experience and ideas to others. We must strive continually to extend the scope of our description, but in such a way that our messages do not thereby lose their objective or unambiguous character … We are suspended in language in such a way that we cannot say what is up and what is down. The word "reality" is also a word, a word which we must learn to use correctly. For a parallel to the lesson of atomic theory regarding the limited applicability of such customary idealizations, we must in fact turn to quite other branches of science, such as psychology, or even to that kind of epistemological problems with which already thinkers like Buddha and Lao Tzu have been confronted, when trying to harmonize our position as spectators and actors in the great drama of existence. Motto he chose for his coat of arms, when granted the Danish Order of the Elephant in 1947. Variant: An expert is a man who has made all the mistakes which can be made in a very narrow field. Said to Wolfgang Pauli after his presentation of Heisenberg's and Pauli's nonlinear field theory of elementary particles, at Columbia University (1958), as reported by F. J. Dyson in his paper “Innovation in Physics” (Scientific American, 199, No. 3, September 1958, pp. 74-82; reprinted in "JingShin Theoretical Physics Symposium in Honor of Professor Ta-You Wu," edited by Jong-Ping Hsu & Leonardo Hsu, Singapore; River Edge, NJ: World Scientific, 1998, pp. 73-90, here: p. 84). 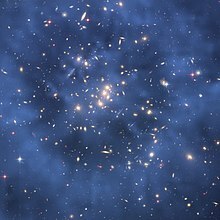 Physics is to be regarded not so much as the study of something a priori given, but rather as the development of methods of ordering and surveying human experience. In this respect our task must be to account for such experience in a manner independent of individual subjective judgement and therefore objective in the sense that it can be unambiguously communicated in ordinary human language. Two sorts of truth: profound truths recognized by the fact that the opposite is also a profound truth, in contrast to trivialities where opposites are obviously absurd. Oh, what idiots we all have been. This is just as it must be. The fact that religions through the ages have spoken in images, parables, and paradoxes means simply that there are no other ways of grasping the reality to which they refer. But that does not mean that it is not a genuine reality. I consider those developments in physics during the last decades which have shown how problematical such concepts as "objective" and "subjective" are, a great liberation of thought. The whole thing started with the theory of relativity. In the past, the statement that two events are simultaneous was considered an objective assertion, one that could be communicated quite simply and that was open to verification by any observer. Today we know that 'simultaneity' contains a subjective element, inasmuch as two events that appear simultaneous to an observer at rest are not necessarily simultaneous to an observer in motion. However, the relativistic description is also objective inasmuch as every observer can deduce by calculation what the other observer will perceive or has perceived. For all that, we have come a long way from the classical ideal of objective descriptions. In quantum mechanics the departure from this ideal has been even more radical. 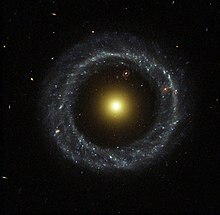 We can still use the objectifying language of classical physics to make statements about observable facts. For instance, we can say that a photographic plate has been blackened, or that cloud droplets have formed. But we can say nothing about the atoms themselves. And what predictions we base on such findings depend on the way we pose our experimental question, and here the observer has freedom of choice. Naturally, it still makes no difference whether the observer is a man, an animal, or a piece of apparatus, but it is no longer possible to make predictions without reference to the observer or the means of observation. To that extent, every physical process may be said to have objective and subjective features. The objective world of nineteenth-century science was, as we know today, an ideal, limiting case, but not the whole reality. Admittedly, even in our future encounters with reality we shall have to distinguish between the objective and the subjective side, to make a division between the two. But the location of the separation may depend on the way things are looked at; to a certain extent it can be chosen at will. Hence I can quite understand why we cannot speak about the content of religion in an objectifying language. The fact that different religions try to express this content in quite distinct spiritual forms is no real objection. Perhaps we ought to look upon these different forms as complementary descriptions which, though they exclude one another, are needed to convey the rich possibilities flowing from man's relationship with the central order. In mathematics we can take our inner distance from the content of our statements. In the final analysis mathematics is a mental game that we can play or not play as we choose. Religion, on the other hand, deals with ourselves, with our life and death; its promises are meant to govern our actions and thus, at least indirectly, our very existence. We cannot just look at them impassively from the outside. 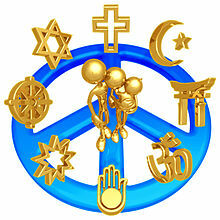 Moreover, our attitude to religious questions cannot be separated from our attitude to society. Even if religion arose as the spiritual structure of a particular human society, it is arguable whether it has remained the strongest social molding force through history, or whether society, once formed, develops new spiritual structures and adapts them to its particular level of knowledge. Nowadays, the individual seems to be able to choose the spiritual framework of his thoughts and actions quite freely, and this freedom reflects the fact that the boundaries between the various cultures and societies are beginning to become more fluid. But even when an individual tries to attain the greatest possible degree of independence, he will still be swayed by the existing spiritual structures — consciously or unconsciously. For he, too, must be able to speak of life and death and the human condition to other members of the society in which he's chosen to live; he must educate his children according to the norms of that society, fit into its life. Epistemological sophistries cannot possibly help him attain these ends. Here, too, the relationship between critical thought about the spiritual content of a given religion and action based on the deliberate acceptance of that content is complementary. And such acceptance, if consciously arrived at, fills the individual with strength of purpose, helps him to overcome doubts and, if he has to suffer, provides him with the kind of solace that only a sense of being sheltered under an all-embracing roof can grant. In that sense, religion helps to make social life more harmonious; its most important task is to remind us, in the language of pictures and parables, of the wider framework within which our life is set. Bohr said this sentence in a conversation with Werner Heisenberg, as quoted in: "Der Teil und das Ganze. Gespräche im Umkreis der Atomphysik" . R. Piper & Co., München, 1969, S. 280. DIE ZEIT 22. Aug. 1969 . As quoted in Meeting the Universe Halfway (2007) by Karen Michelle Barad, p. 254, with the quote attributed to The Philosophical Writings of Niels Bohr, but with no page number or volume number given. I was therefore on the lookout for nuggets when I sat down to review these three volumes – a reissue of Bohr's collected essays on the revolutionary epistemological character of the quantum theory and on the implications of that revolution for other scientific and non-scientific areas of endeavor (the originals first appeared in 1934, 1958, and 1963.) But the most radical statement I could find in all three books was this: "...physics is to be regarded not so much as the study of something a priori given, but rather as the development of methods for ordering and surveying human experience." No nuggets for the nonscientist. The above quote is also attributed to various humourists and the Danish poet Piet Hein: "det er svært at spå – især om fremtiden"
Variant: It's hard to make predictions, especially about the future. 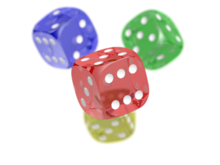 Variant: Don't tell God what to do with his dice. Of course not … but I am told it works even if you don't believe in it. In most published accounts of this anecdote such was Bohr's reply to his friend, but in one early account, in The Interaction Between Science and Philosophy (1974) by Samuel Sambursky, p. 357, Bohr was at a friend's house and asked "Do you really believe in this?" to which his friend replied "Oh, I don't believe in it. But I am told it works even if you don't believe in it." Bohr seemed to think that he had solved this question. I could not find his solution in his writings. But there was no doubt that he was convinced that he had solved the problem and, in so doing, had not only contributed to atomic physics, but to epistemology, to philosophy, to humanity in general. And there are astonishing passages in his writings in which he is sort of patronizing to the ancient Far Eastern philosophers, almost saying that he had solved the problems that had defeated them. 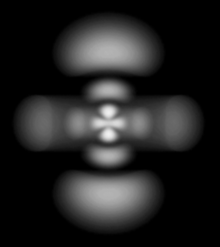 It’s an extraordinary thing for me—the character of Bohr—absolutely puzzling. I like to speak of two Bohrs: one is a very pragmatic fellow who insists that the apparatus is classical, and the other is a very arrogant, pontificating man who makes enormous claims for what he has done. If quantum theory has any philosophical importance at all, it lies in the fact that it demonstrates for a single, sharply defined science the necessity of dual aspects and complementary considerations. Niels Bohr has discussed this question with respect to many applications in physiology, psychology, and philosophy in general. It is practically impossible to describe Niels Bohr to a person who has never worked with him. Probably his most characteristic property was the slowness of his thinking and comprehension. When, in the late twenties and early thirties, the author of this book was one of the "Bohr boys" working in his Institute in Copenhagen on a Carlsberg (the best beer in the world!) fellowship, he had many a chance to observe it. 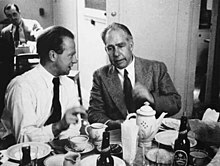 In the evening, when a handful of Bohr's students were "working" in the Paa Blegdamsvejen Institute, discussing the latest problems of the quantum theory, or playing Ping-pong on the library table with coffee cups placed on it to make the game more difficult, Bohr would appear, complaining that he was very tired, and would like to "do something." To "do something" inevitably meant to go to the movies, and the only movies Bohr liked were those called The Gun Fight at the Lazy Gee Ranch or The Lone Ranger and a Sioux Girl. But it was hard to go with Bohr to the movies. He could not follow the plot, and was constantly asking us, to the great annoyance of the. rest of the audience, questions like this: "Is that the sister of that cowboy who shot the Indian who tried to steal a herd of cattle belonging to her brother-in-law?" The same slowness of reaction was apparent at scientific meetings. Many a time, a visiting young physicist (most physicists visiting Copenhagen were young) would deliver a brilliant talk about his recent calculations on some intricate problem of the quantum theory. Everybody in the audience would understand the argument quite clearly, but Bohr wouldn't. So everybody would start to explain to Bohr the simple point he had missed, and in the resulting turmoil everybody would stop understanding anything. Finally, after a considerable period of time, Bohr would begin to understand, and it would turn out that what he understood about the problem presented by the visitor was quite different from what the visitor meant, and was correct, while the visitor's interpretation was wrong. When asked whether the algorism of quantum mechanics could be considered as somehow mirroring an underlying quantum world, Bohr would answer, "There is no quantum world. There is only an abstract quantum physical description. It is wrong to think that the task of physics is to find out how nature is. Physics concerns what we can say about nature." Bohr felt that every step in the development of physics has strengthened the view that the problem of establishing an unambiguous description of nature has only one solution. He regarded all attempts to replace our elementary concepts or to introduce a new logic to account for the peculiarities of quantum phenomena as not merely unnecessary but also incompatible with our most fundamental conditions, since we are suspended in a unique language. To my great pleasure, Victor Weisskopf was sitting in his usual place in the front row, smiling approvingly up at me. (It's surprising how much such encouragement from such a source can improve the quality of a talk.) His smiles continued right up to the moment when I read the Petersen quotation. No sooner had I finished reading it than Viki was on his feet. "That's outrageous," he proclaimed. "Bohr couldn't possibly have said anything like that!" Somewhat taken aback by this sudden flip from approbation to condemnation, I feebly protested that I wasn't attributing it to Bohr, merely to Aage Petersen's memory of Bohr. That did not extinguish the flames. "Shame on Aage Petersen," declared Viki, "for putting those ridiculous words into Bohr's mouth!" N. David Mermin, "What's Wrong With This Quantum World?" Physics Today Vol. 52, No. 2 (February 2004), p. 10. [Bohr was] a marvelous physicist, one of the greatest of all time, but he was a miserable philosopher, and one couldn’t talk to him. He was talking all the time, allowing practically only one or two words to you and then at once cutting in. Niels Bohr distinguished two kinds of truths. An ordinary truth is a statement whose opposite is a falsehood. A profound truth is a statement whose opposite is also a profound truth. This page was last edited on 4 September 2018, at 14:20.